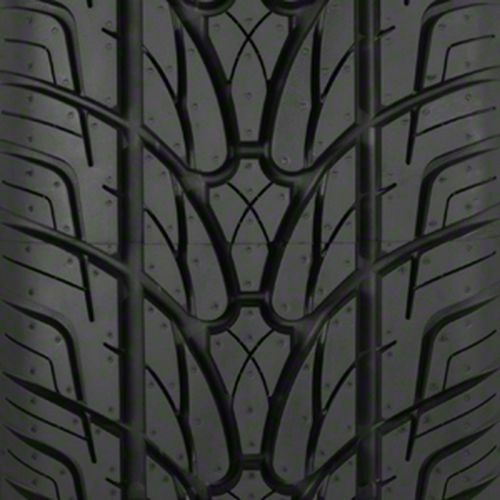 The Kumho Ecsta STX KL12 is an all-season radial tire specially developed for drivers who are looking for appeal, year-round traction, and durability. 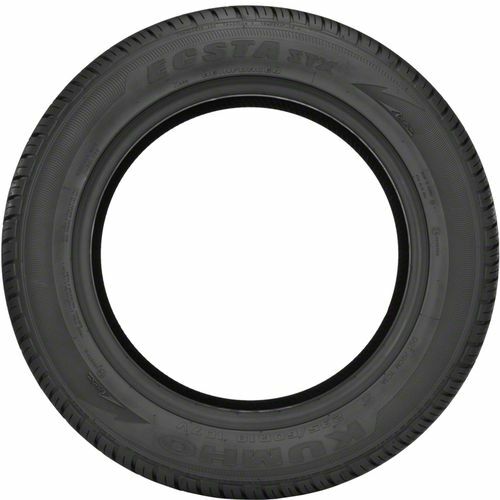 Ideal for sports utility vehicles, crossovers, and performance pickups, the Kumho Ecsta STX KL12 features an aggressive directional tread design consisting of large tread blocks which improve response and handling. To help with efficient water evacuation and hydroplaning resistance are the high angle lateral grooves. The internal structure consists of twin high tensile steel belts which are reinforced by two nylon cap plies. These helps the tires to stabilize while enhancing handling and durability when driving at high speeds. Improving ride quality and steering response are the two polyester body plies and nylon bead reinforcements. 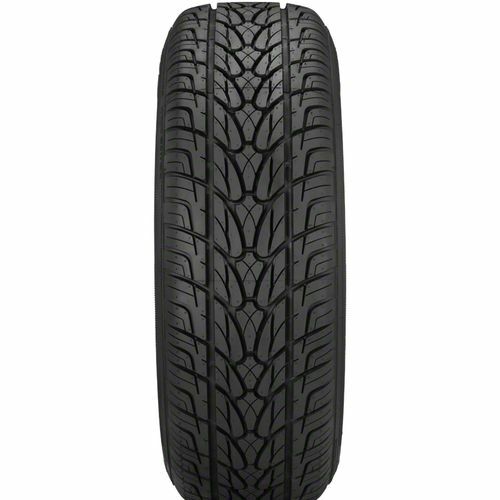 To get the most out of the Kumho Ecsta STX KL12, it is recommended to use in sets of four. 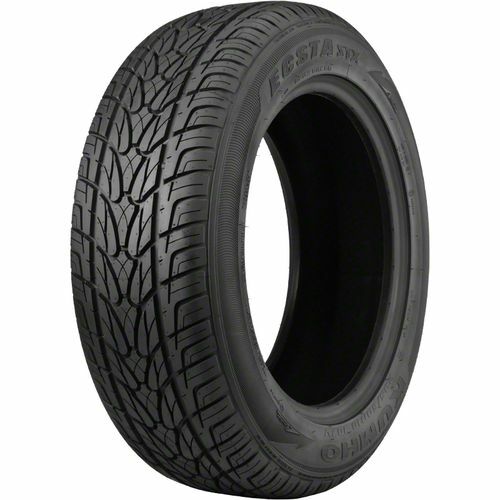 P305/40R-22 420AA 2,601 lbs 50 psi 12/32nds N/A 12" N/A 32"
Purchase includes the Kumho Ecsta STX KL12 tire only. The wheel rim shown in the picture is not included. Picture provided is a stock picture from the manufacturer and may or may not reflect the actual product being ordered. All Kumho Ecsta STX KL12 tires are continuously developing with manufactured improvements. With that said, Simple Tire and the manufacturers have the right to change these tire specifications at any time without notice or obligation. Please Note: Specifications of the Kumho Ecsta STX KL12 tires shown above are listed to be as accurate as possible based on the information provided to us by Kumho tires.